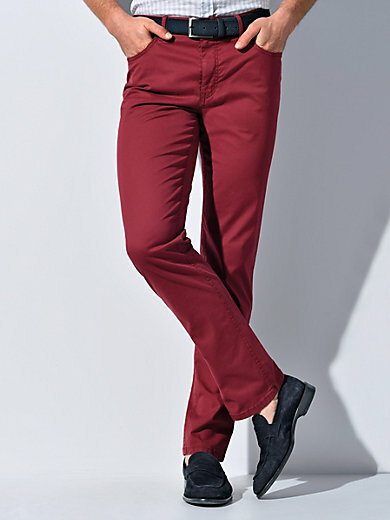 Trousers by HILTL – KIRK in a comfortable cut with a normal waist height and straight legs. 5-pocket design with a zipped pocket in the right back pocket. Soft and pleasant cotton texture, made from particularly soft extra-long staple SUPIMA® cotton from the sun-drenched southern US states. Belt not included. 95% cotton, 5% elastane. Ankle width in size 50 approx. 40cm/16ins. The trousers are machine washable.